… had a bright a idea. I should have learnt my lesson about bright ideas and wine years ago. 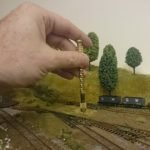 The last Sauvignon Blanc powered idea was setting up a blog for model railway enthusiasts and look how that ended up… 10,000 of you and still going! Anyway, there I was contemplating life, trains and other things and it dawned on me that many of readers and followers of MRE have their own blogs or want to start one for free but struggle with the technology aspect of doing so. 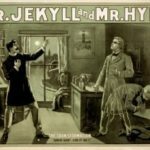 By contrast the tech bit is one of my strengths so I thought to my increasingly inebriated-self why not offer to help others with their blogs. And as part of the general MRE theme of providing information free (like all the tips and guides here) I’m would also offer this blog-help free. Twenty-four hours later and while the wine is now a fading memory the idea of offering railway bloggers free help is never more real. Simply put, its general help via email etc if something isn’t working on your blog, you’re stuck trying to figure something out or you just need a a pointer to someone who can help with more advanced stuff (coding) although for most blogs this isn’t necessary. Typical problems I can help with: registering your site; finding somewhere to host it for free; setting up WordPress or Blogger; adding features and functions; making the site faster; making it secure and a million and one other things. Unfortunately, I don’t have time to code or host your site and my skills don’t stretch to design so I can’t make your logo etc (this is relatively easy though and I’ll be happy to give you pointers). I read a lot of other blogs that sooner or later diversify in the hunt for money and start promoting hosting services or WordPress themes. This won’t happen on my blog and this isn’t the start of this kind of activity. And don’t worry, you aren’t about to start seeing lots of posts on how to blog or recommendations for hosting either. 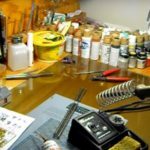 Model Railway Engineer is about my passion — trains, engineering and model making (the hint is in the name) — and that’s how it will stay. 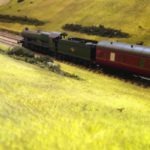 As mentioned here when not making model railways I run web hosting operations for large organisations. Currently this for one of the largest media businesses in the UK, with servers and cloud infrastructure handling millions of visitors a day. As such building, fixing and improving web servers, hosting etc, is my bread and butter. It’s something I enjoy, although not as much as messing around with trains, and having done it for 15 years is something I have a modicum of knowledge about. But while I find building websites fun, I’m very aware that I’m unusual, some would say odd…. and most people struggle with it. At the same time I know sharing our knowledge is really helpful and so if I can help others in the community around MRE set up a blog on trains or improve their existing blog to also share their layouts and ideas it’s got to be worth doing. It’s not even new: read back through my tweets and you’ll see tweets from me offering to help other bloggers over the years. I’m just opening the idea up. 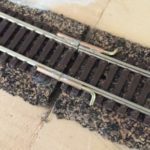 It doesn’t cost me anything to help and, as said if it helps other model railway builders it meets one of my key mission goals for this blog so why not. The only thing I ask is perhaps a link back to MRE. But even this is up to you. I do however have a few conditions before I help. 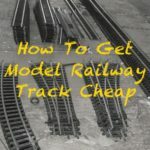 This offer is to help railway modellers so your blog must be about or closely related to model railways. 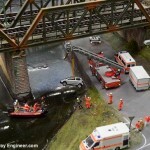 Business blogs are fine as long as they’re about model trains. The content must be legal and not contain anything that could be considered pornographic, racist, sexist or homophobic. Quite why you’d do this on a model train blog I can’t think but I won’t help if you peddle this stuff or any other hate material. The material you use must be your own, not copied or stolen from elsewhere. The help is also provided on a best effort, information only, basis. For obvious reasons there are no guarantees or warranties and I can not be held responsible for anything that happens as a result of you following the information. So how do you take me up on the offer? 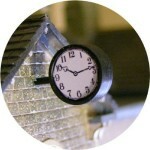 Just drop me a message via the contact page or reach out to me via a msg on Twitter or Facebook and I’ll be in touch.